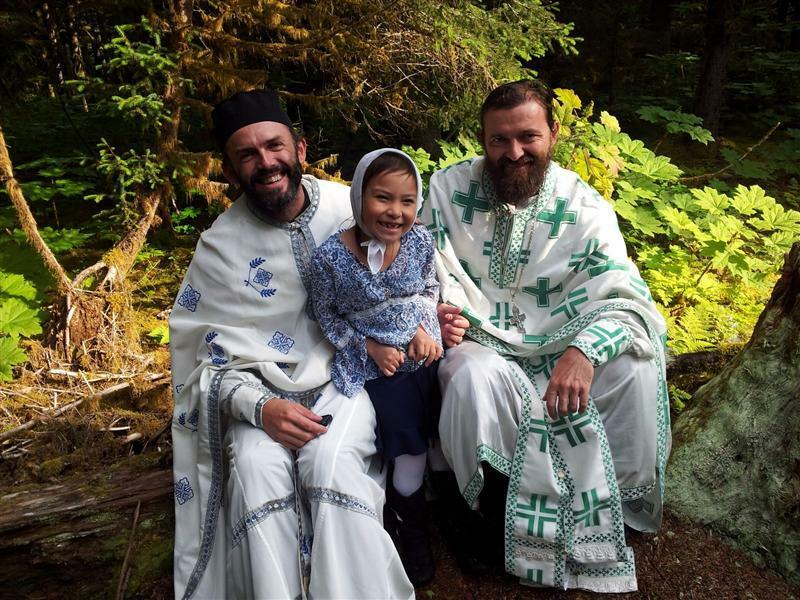 Alaska - With the blessing of His Grace Bishop Maxim of Western America, the abbot of Monastery Tvrdos, hieromonk Sava, together with hieromonk Jovan Babic and Protopresbyter Blasko Paraklis visited Alaska and the Kodiak Island on the occasion of the Feast of St. Herman of Alaska. The Holy Hierarchical Divine Liturgy was officiated by His Grace Bishop Benjamin of San Francisco of the Orthodox Church in America. A great many faithful attended the liturgy from all over but especially the Aleuts-Eskimos from Alaska. Bishop Benjamin, as a token of gratitude for our visit, gave to our Diocese of Western America and Monastery Tvrdos two particles from the relics of St. Herman of Alaska.